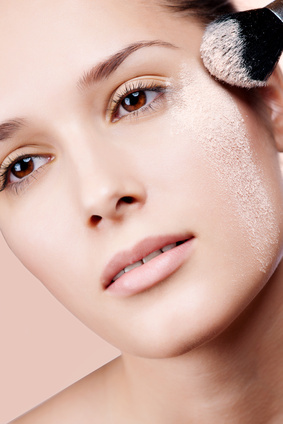 Do Your Mineral Makeup Products Irritate Skin? Although no mineral makeup brand can guarantee to be completely irritant free, we however, certainly feel the minerals and botanicals we selected to use in our loose mineral powders are rated to be safe and are FDA Regulated and Certified for cosmetic use. We adhere to safety requirements for our ingredients used in our mineral makeup products as legislated by the Cosmetics Directive of the European Union. We realize there are some women with extremely sensitive skin and may not be able to apply little to anything to their face, and for those women we still hope they give us a try. We have had many women with sensitive skin or had damage caused by other mineral makeup products containing Bismuth Oxychloride, or were comprised with a heavy mica base, report our mineral powders actually helped improve the texture and condition of their skin overall and were able to return to wearing mineral makeup everyday. Sterling Minerals formulations possess ingredients with the lowest risk of a potential irritant factor to skin. We have omitted the known worse offenders which can cause ongoing problems for the skin. Beauty Tip: Break a habit - No extra buffing needed, just imply press and sweep the coverage you want into place. Please don't over buff our minerals since this can overstimulate the face unnecessarily (irritate) and grind ingredients into the pores, perhaps causing a secondary problem of an acne breakout. Keep brushes clean (wash at least once per week) to avoid dirty applications to the face and further avoid an acne recurrence, otherwise they become filthy with dead skin and pore clogging sebum.